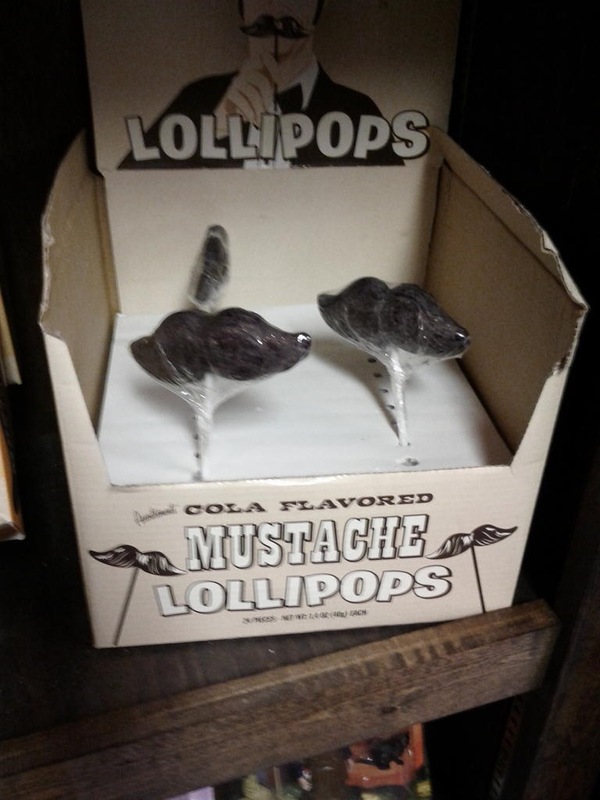 If you forgot to buy candy for Halloween, or ate all of it already (like I did), why not purchase some of these Mustache Lollipops? After all, any other day of the year you would be arrested for handing out mustaches to little kids. Thanks to @BurlesqueGypsy for sending us this picture on twitter. This entry was posted in Edible Steesh and tagged candy, comedy, entertainment, halloween, halloween candy, holidays, Humor, lollipop, Moustache, mustache on October 31, 2012 by Los Bulls. I’m glad they specified these things were actually “cola flavored,” because I really didn’t want to know a) what “mustache flavor” is and b) who makes that determination? They should expand their flavors. Beef Jerky, Cigar Smoke, Bourbon – the possibilities are endless. Beef Jerky and bourbon…now you are just toying with me.